The OGIO – Intake Jacket Style OG504 is available in Adult Sizes: XS-4XL and comes in a blacktop and diesel grey. 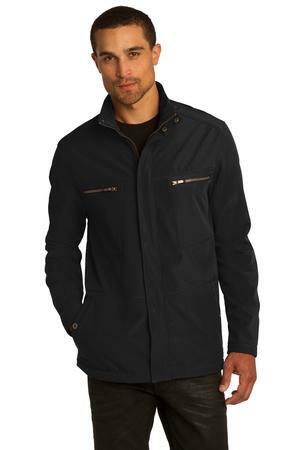 This Men’s Softshell jacket is water proof, is comfortable and just looks cool. Looking for a great soft shell, look no further! The Intake Soft shell Jacket is available is Men’s Sizes XS-4XL. Available colors include the following: Blacktop and Grey Diesel. Blaze new trails—and stay protected—in this super-sleek soft shell with edgy zippered chest pockets. The waterproof rating refers to the amount of water a garment can withstand in 24 hours before it leaks. In this case, the All-Season II Jacket can take on 3000 millimeters of water (almost 10 feet of rain or snow in 24 hours) before it leaks. Be the first to review “OGIO – Intake Jacket Style OG504” Click here to cancel reply.